"I come to this with a different point of view. 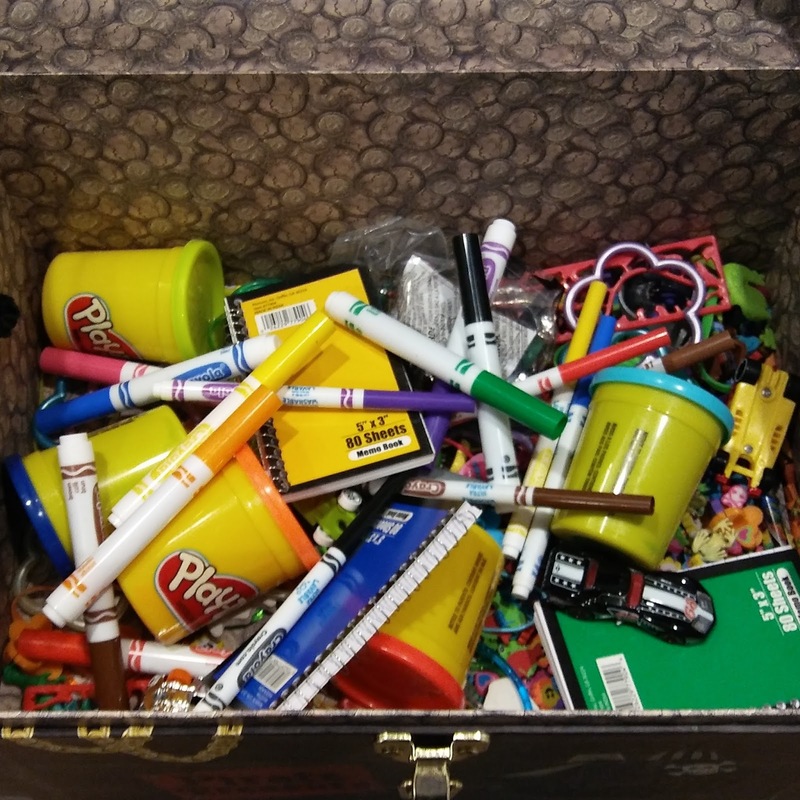 My wife was a teacher who never got rid of anything. Over her 16 year career, she taught several grades in several school districts and amassed a ton of stuff. She stopped teaching and had me put her 50+ file boxes of teacher stuff in the attic for her to use when she returned to teaching. Sadly, she died before she could return to teaching. When I tried to sell, give away, or donate her stuff, I could only unload two boxes of stuff...and this was good stuff. The rest wound up in the dumpster. Do yourself a favor...you will never use that stuff and the stuff you use everyday is sparking joy. 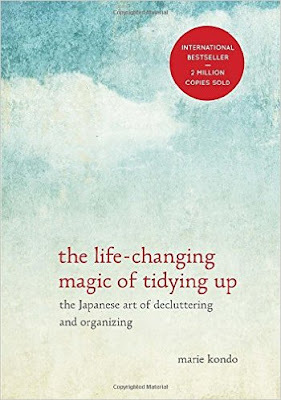 Imagine how your principal will love your beautiful KM'd (KonMari) classroom. You will be surrounded by the stuff that will spark joy for you and your students and when beginning of the year and end of the year comes, you can spend your time doing the important stuff rather than taking care of the stuff that doesn't bring anyone any joy. Especially your spouse who has to lug the stuff around." 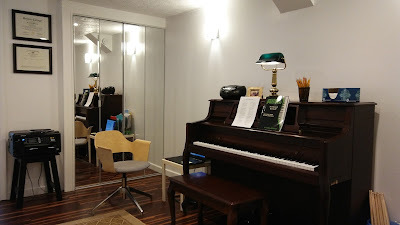 An uncluttered and organized studio has a positive impact on both the teacher and his/her students. 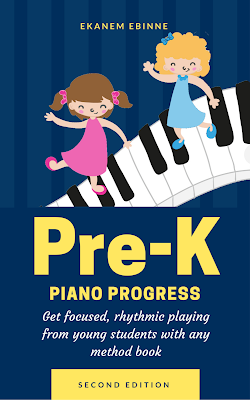 Ekanem Ebinne of Mother in Tune emphasized the importance of a tranquil and organized studio setting and the impact it has on student behavior and learning in her book, Pre-K Piano Progress (another book that I read last summer). Over the past few months, I was attentive to what I was/wasn't using on a regular basis and easily eliminated a lot of excess. When I finally asked myself of each item if it sparked joy, I was left with my piano, a very simple filing system to keep student materials close by, an office chair, a cup of pencils for students to use, my laptop (My Music Staff is my admin! ), printer, and a bin of rhythm instruments. THAT'S IT! As I talked with each student about what they enjoy the most about their piano lessons, I found that there were three facets that repeatedly came up: repertoire, games, and the prize box. Because of their input, I kept all of the games and replenished the prize box. I still need to sort through the filing cabinet of music that is in storage, but I know which music inspires and sparks joy and can simply let the others go. How is this "life changing magic"? I've discovered at least three benefits that come with an organized studio! At the beginning of every week, I clean the studio. It is much easier to clean when there is less clutter to move around in the room! I've developed the habit of placing any new books or sheet music that have arrived for specific students in the appropriate lesson day file, which means less time is wasted searching for it later. I also choose one or two games to use in lessons for the week, and store it vertically (as recommended by KonMari) and it has been wonderful to not have to search for it under a pile a desk! Clutter and excessive amounts of objects are subconsciously/ consciously distracting! Having only the essentials and joy sparking objects in the studio has allowed us to focus on the joy of learning and creating music.